Lewis Arnold! Congratulations Lewis! On Time Supplies doesn’t mess around when it comes to shipping, so your Mead subject notebooks, Avery binder, Pentel pencils, Tombow correction tapes, Crayola art supplies and more than $100 in other absolutely essential school will arrive shortly. Congratulations again Lewis! Lewis’s winning entry was chosen by the random number generator at www.psychicscience.org. That’s a more efficient and reliably unbiased version of the old pull a name out of a hat routine I was leaning towards before I realized exactly how many little slips I’d have to cut up to cover all the contest entries! There are a lot of people clamoring for free school supplies on Twitter & Facebook! To the other 160-odd entrants that didn’t win the free school supplies: don’t despair! Check in on the On Time Supplies Twitter and Facebook pages, and at Smart Office, for more prize giveaways and contest. Next time, you might be the lucky duck that Tweets and comments your ways to victory! 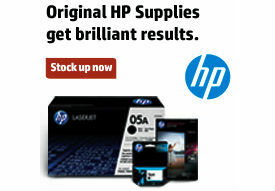 Plus, I’ll give you a heads up on discount office supplies deals at www.OnTimeSupplies.com! P.S. Isn’t the congratulations pic adorable? You can find more cool & beautiful calligraphy pictures at www.penpeople.org.uk.